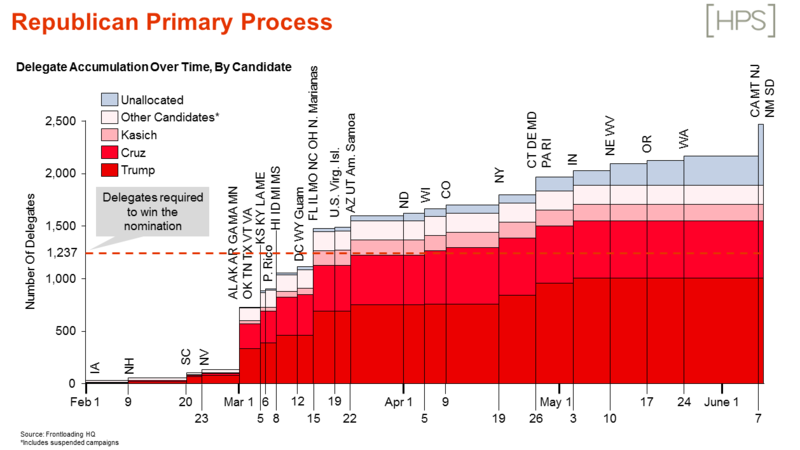 As the Republican primary process plays out, the below chart illustrates each of the three remaining candidates’ — Mr. Trump, Sen. Cruz, and Gov. Kasich — delegate accumulation, with an eye toward the 1,237 delegates required to secure the nomination. Be sure to check back in frequently as the process unfolds for an up-to-date look at the delegate counts for each candidate.